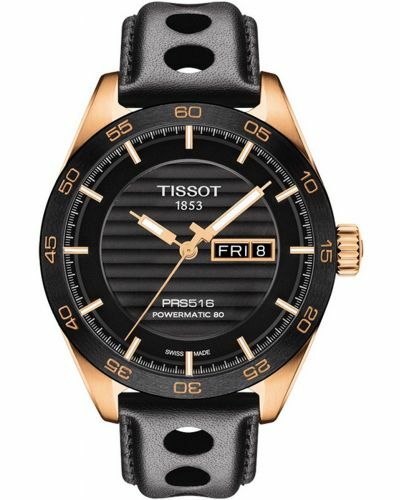 This striking men’s watch is brought to you by world renowned Swiss watchmakers Tissot as part of their T-Sport Powermatic 80 collection. 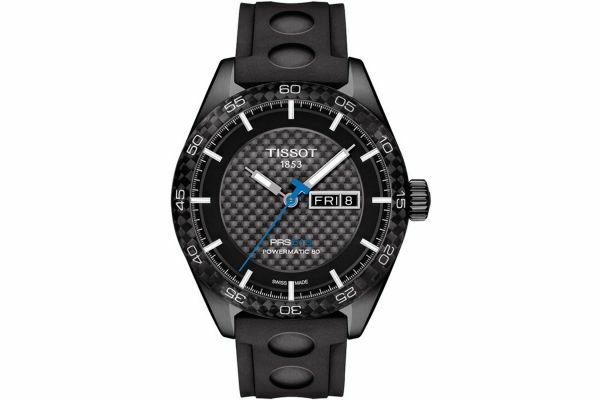 Featuring a remarkable 42mm round black ion plated stainless steel case and tachymeter engraved black Ion bezel; the Powermatic 80 presents with a bold weaved effect two tone black dial with a large day/date display window. 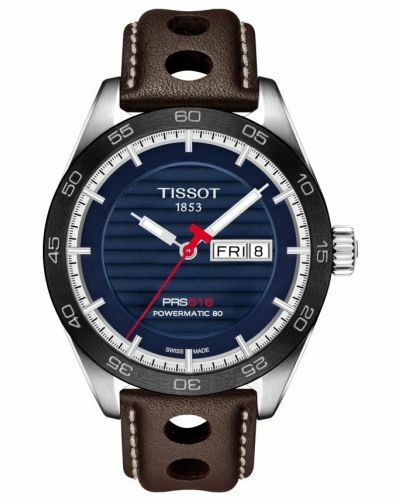 Crisp white batons and a bright blue second hand emphasis this stunning dial. 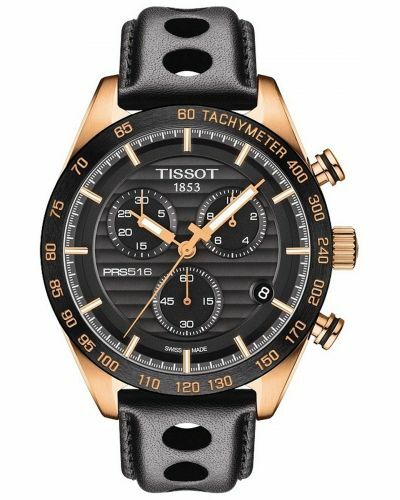 This enigmatic dial has been designed and crafted as an ode to the 1960’s motorsports race days. 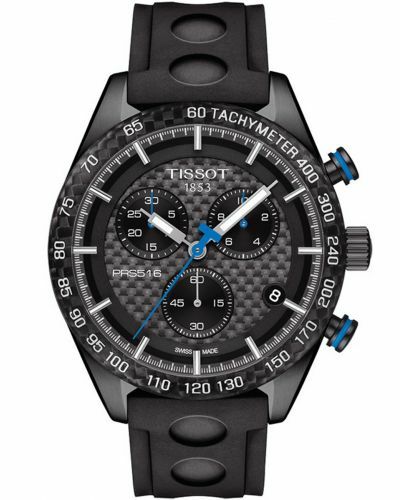 Set upon a sporty black rubber strap with spherical detailing on the bracelet and fastened by a butterfly deployment closure; the T-Sport by Tissot is both sophisticated and durable. 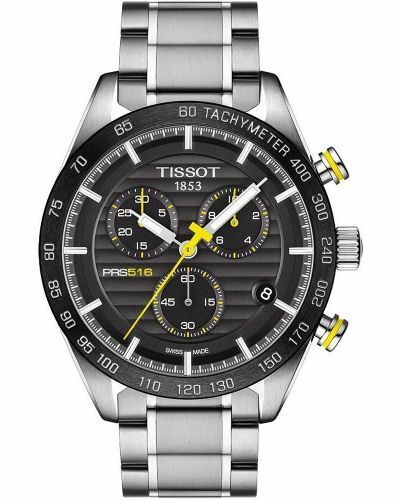 Protected by scratch resistant anti-glare Sapphire glass and powered by Swiss automatic movement in which is visible through the clear case back. As a throwback to the 1960’s motor sports the Powermatic 80 23jewel movement has been accentuated with a metal steering wheel design and holds an 80 hour power reserve when fully charged. 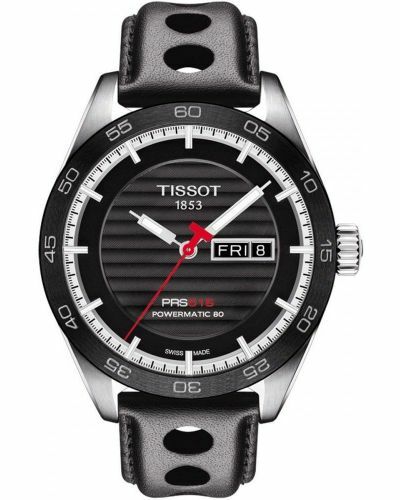 The Tissot T-Sport is water resistant up to 100 meters and comes complete with a two year guarantee.